We believe that honesty is the best policy, so we’ve taken the necessary steps to ensure that our business is completely transparent. To put it simply, we know that our customers would genuinely prefer this style of pricing. Car-buying can be a stressful experience, and we want to do everything we possibly can to save you time and energy and to help you find the best deal. After all, when you’re comparing prices, all that really matters is the Out the Door Price. 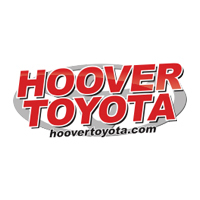 Luckily, Hoover Toyota is here to provide you that information quickly and clearly. We’ll help you get what you want, upfront and without a fight. Feel free to browse our inventory or come visit us at 2686 Highway 150, Hoover, AL 35244. We look forward to seeing all of our customers from throughout the Birmingham area soon!